This is a jhatpat recipe, specially for bachelors which can be made in minutes when you are short of time. I always keep a can or tetra pack of peas for times like this. You may say that canned stuff contains preservatives.. yes, I agree nothing better than fresh veggies but once in a way you can make an exception. 1. Heat oil in a pan and add mustard seeds. When they crackle add the onion paste and saute. 2. When the colour of the onion changes add the garlic paste. 3. Now add the tomato puree and all the spice powders and salt. 4. 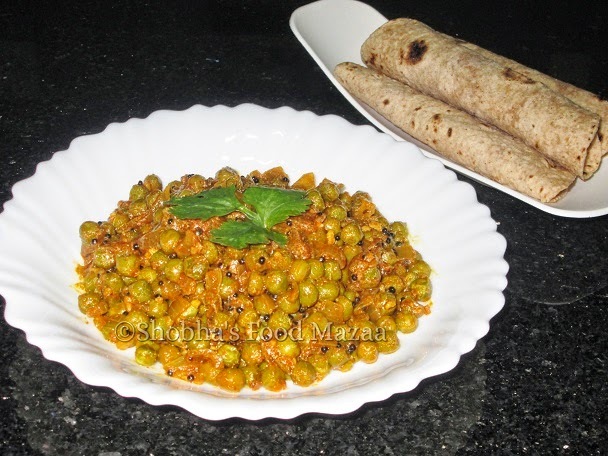 Drain out the water from the green peas and stir into the prepared masala. 5. You can keep it dry or add half a cup of water for a little gravy if you prefer. 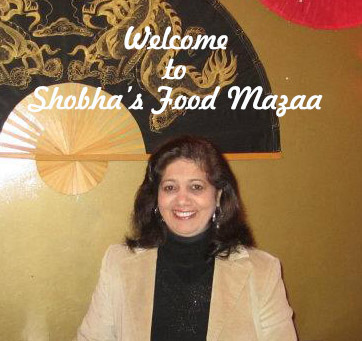 Simple and delicious Shobha ji. I will keep it mind when I want to make quick veggies for chapathi. BTW, you have mentioned garlic paste in ingredients and in the directions , mentioned as ginger paste. Thanks Sandhya.. It was a mistake I have edited it now. Delicious ! Love to taste this with sambhar rice ! healthy one..hope it's a great combination of chappathi..will try!